Compact size pedal wrench 15 mm is designed for take-along and easy-to-use. Heavy-duty professional pedal wrench 15 mm. Fits 16 notch external bearing bottom bracket cups measuring 44mm diameter such as Shimano BB80, BB5700, XT BB70, BB51, and previous external bearing threaded cups. Precision CNC machined aluminum tool for the installation and removal of 16 notch external bearing bottom brackets. Anodized for easy identification and featuring a ratchet torque wrench compatible 3/8” drive. Precision CNC machined aluminum tool for the installation and removal of 16-notch external bearing bottom brackets. Anodized for easy identification and featuring a ratchet/ torque wrench compatible 3/8 drive. Precision CNC machined aluminum tool for the installation and removal of external bearing bottom brackets. Anodized for easy identification and featuring a ratchet/ torque wrench compatible 3/8 drive. Now 11-speed compatible, the CT-6.3 removes and installs chain pins in all derailleur chains. Smooth and powerful, this handy take along is encased in a stainless steel shell, which becomes a comfortable handle when opened. Designed and built especially for single speed bikes, the SS-15 is a forged, multi-purpose ride saver.Just the right size and length (17cm/7) to take along or to wrench in the garage, the SS-15 is destined to be a single speeder favorite. The Park Tool SR-18 fits 1/8" fixed-gear sprockets. Park Tool CT-3.2 Adjustable Chain Tool is designed for for 5-11 and single speed chains. Specially designed to work with the tight tolerances and narrow profiles of 10- and 11-speed chains, but also works on all other derailleur chains, including the Shimano CN-9000. The CT-4.3 is a powerful, precise tool designed to quickly and accurately remove and install chain rivets. Without a doubt the most accurate chain tool weve ever built! Replacement brush for Park Tool GSC-1 GearClean Brush. PolyLube 1000 has an extremely high shear strength to protect vital parts under extreme conditions. PolyLube 1000 also repels moisture and is compatible with conventional greases. Versatile crank wrench featuring the proven Y head design. 36mm box-end and bottom bracket pin spanner. The FRW-1 is a one-inch socket and securely holds freewheel and lockring tools (FR-1 through FR-8 plus the BBT-5) for removal and installation. The BBT-4 is made for the installation and removal of 6-notch SC-S and AC-H cartridge cups used on sealed cartridge bottom brackets. The BBT-30.3 includes a bearing remover, which slides through the bottom bracket shell and into the bearing so it can be tapped out with a hammer. The RBS-5 replacement brush set for the CM-5 Chain Cleaner includes the large side scrubbing brush, two roller brushes, and two wicking foam blocks. 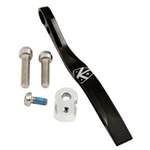 This pedal wrench features 15mm and 9/16 precision openings and a long, round, vinyl dipped handle that wont dig into your hand like flat pedal wrenches. Double-sided bottom bracket lockring hook spanner. One side is a single hook, the other is a hook spanner with 3 notches for better engagement in the lockrings. The three-hook end will fit 3-notch lockrings with a maximum outside diameter of 46mm, and minor diameter (in the notches) of 40mm. Specially designed for cranks, including the Campagnolo Ultra-Torque, the HT-10 hex tool is designed and built for speed, leverage and comfort. HT tools feature an ergonomically designed screwdriver grip, with an extra long, super strong 10mm hex on one end and a ball driver hex on the other. 10-Pack Grease Monkey Wipes are multi-purpose cleaning wipes that use an all natural, citrus formula for heavy duty cleaning. Each wipe easily removes grease, grime, oil, marker without using harsh chemicals. Ideal to stick in toolboxes, saddle bags, emergency repair kits, backpacks. Many new bikes do not include pedals. The DP-1 Dummy Pedal quickly installs to take the place of a pedal when making adjustments during the assembly of these bikes.